Coming from the States and driving in the UK is not for the faint of heart. Right side drive car and driving on the left is difficult. Not to mention we’re cheap and opted for manual transmission and no GPS. Having said that John is doing a great job. I may give it a try today but no promises. We did splurge on FULL INSURANCE coverage! 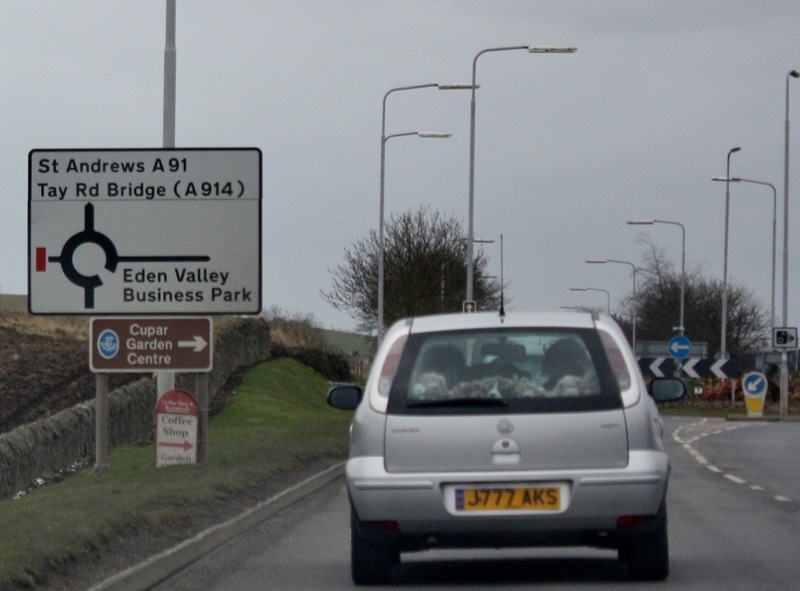 Driving from Edinburgh to St Andrews, we must have encountered at least 30 roundabouts. 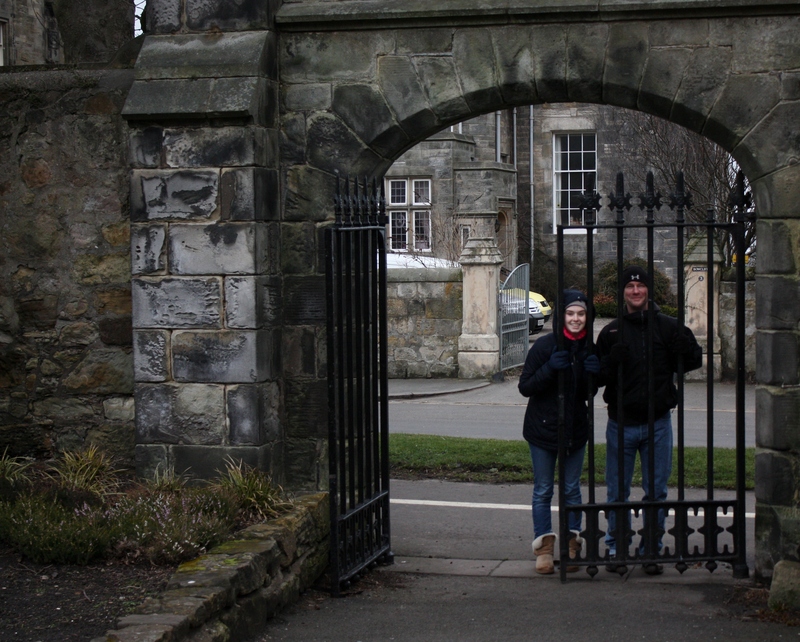 Glad we made the detour through St. Andrews on our way to Pitlochry. 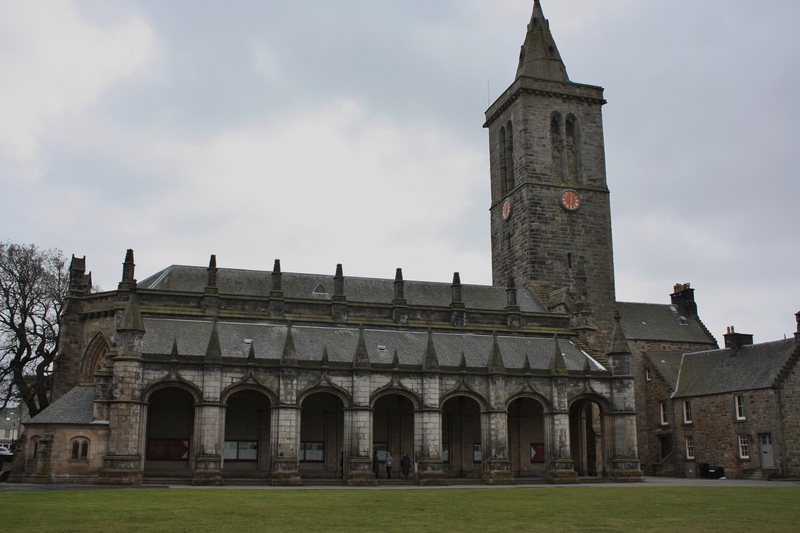 Our first stop was the University of St Andrews which opened in 1413. 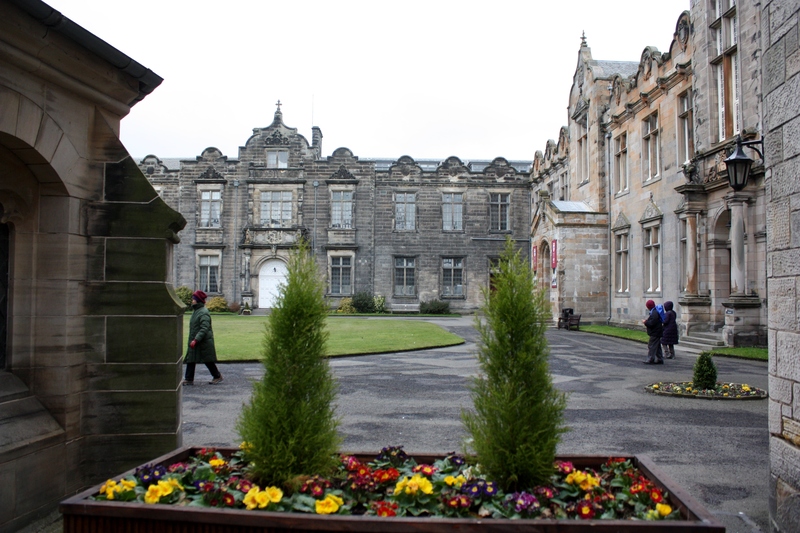 It’s the 1st University in Scotland and the 3rd oldest in the English-speaking world. The campus is absolutely GORGEOUS. 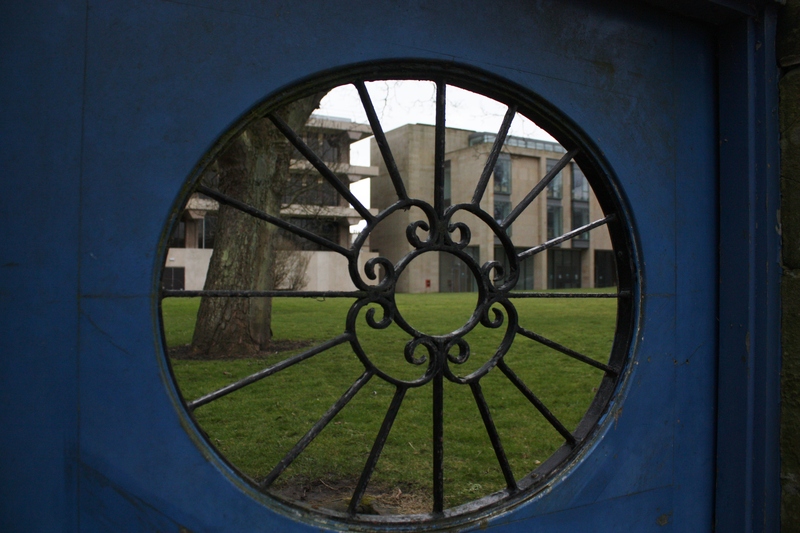 Romantic history: Prince William met Kate Middleton at the University in 2001 while they were both in the Art History department. 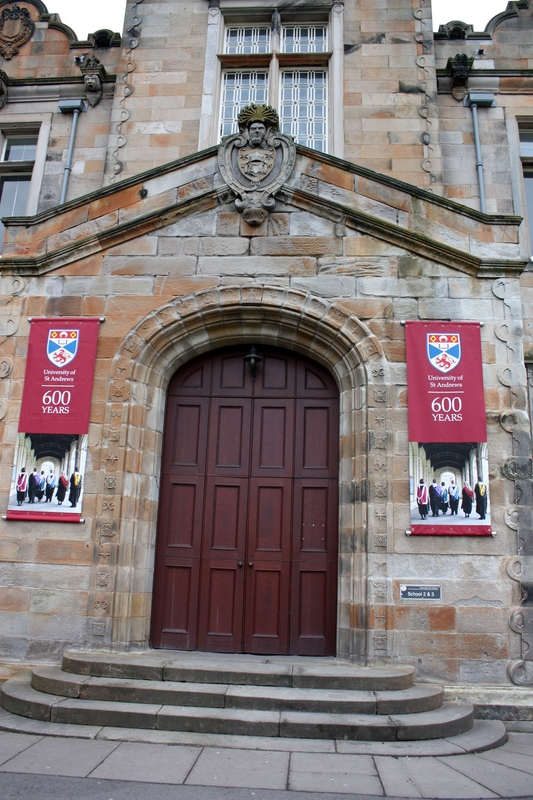 The University has another first ~ The First Martyr of the Scottish Reformation. Patrick Hamilton, age 24, went to the Europe and was influenced by reformation leaders. 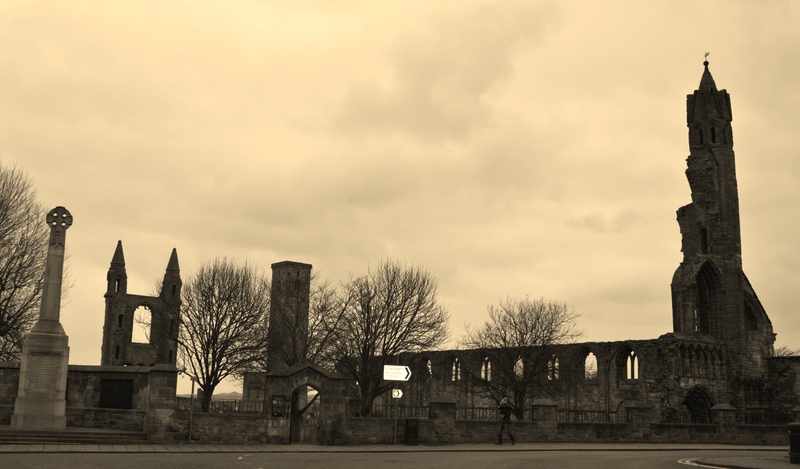 When he came back to St. Andrews, he began teaching reformation doctrine to the students. He was tried and burned at the stake on campus. 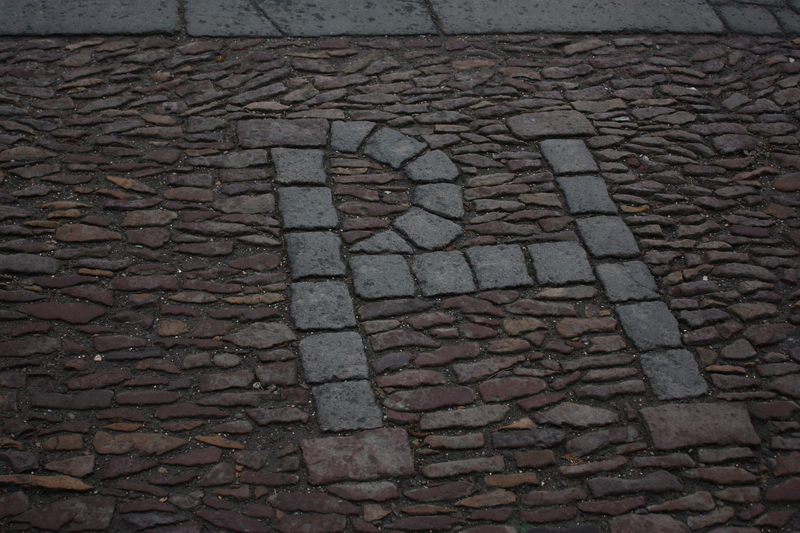 On the spot where he was burned, there are the initials PH and it is said that if a student stands on those initials, they will fail to get their degree. 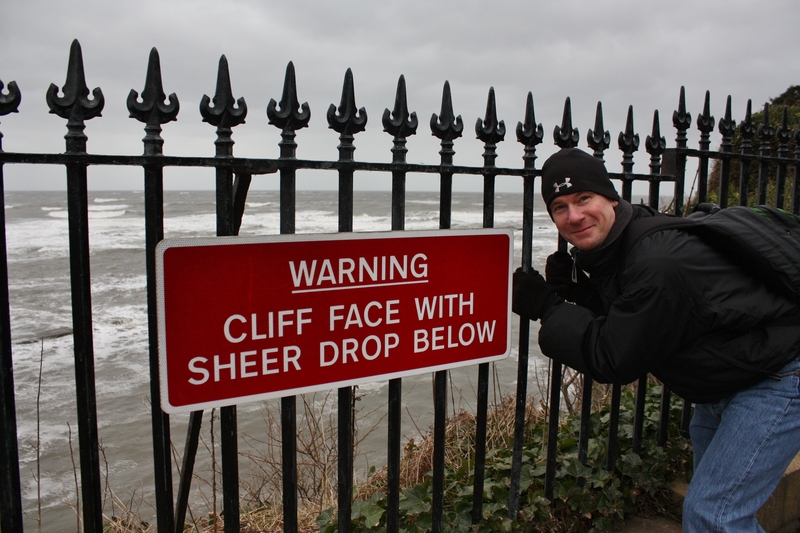 The wind was whipping on the day we visited St Andrews and no where more so than the Golf Course and the nearby cliffs looking out to the North Sea. Still, it was wonderful to be at the birthplace of Golf. 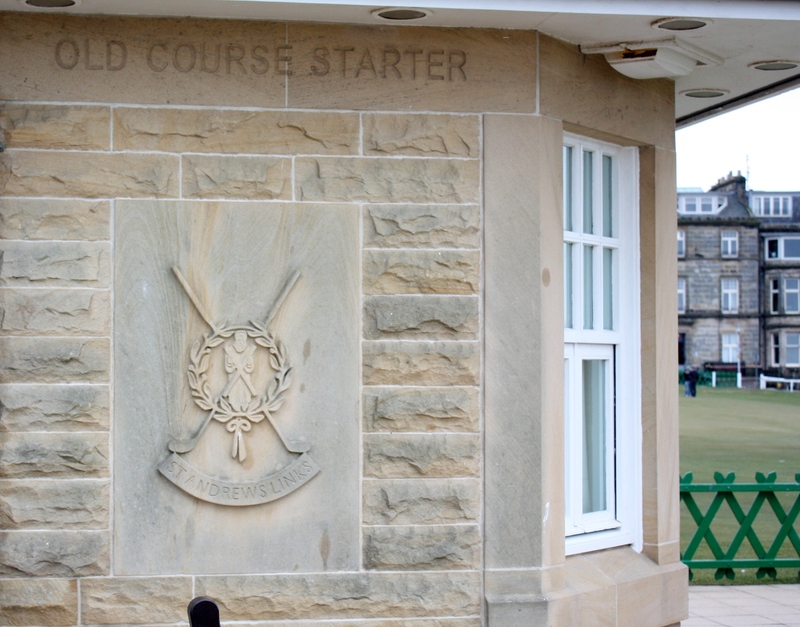 St Andrews ~ where golf was invented. Also near the golf course is where the famous running scene from “Chariots of Fire” was filmed. For those too young to know the film, it was a 1981 film about two British runners(one Jewish and one a devout Christian) training for the 1924 Olympics. I remember being bored with the film but that could have been because I was so young when I saw it. Might have to re-watch just for the scenery. Location where “Chariots of Fire” was filmed. St Andrews is a beautiful and quaint town with lots of references to golf (street names, pub names, etc). Can’t imagine what it must be like when the crowds of spectators for the British Open show up every year. We were so happy to enjoy it sans the crowds. 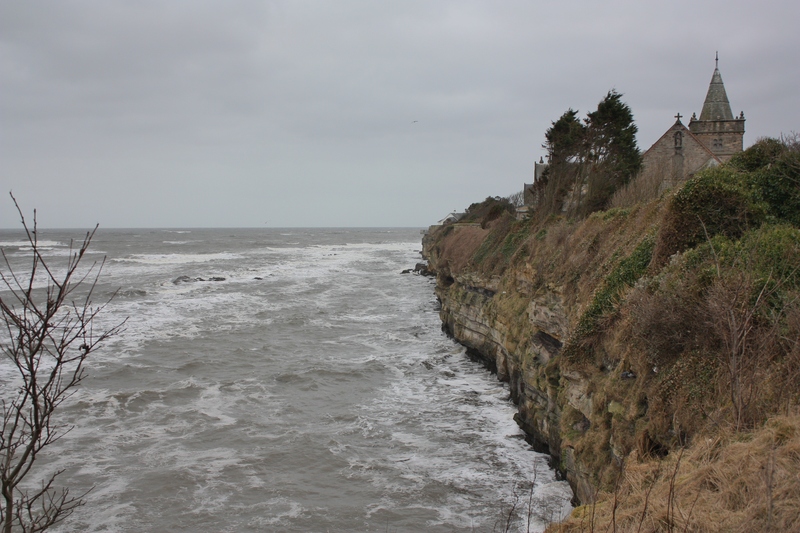 Cliffs of St Andrews ~ the North Sea. Hi I work for a Veterans Charity in Scotland I found your blog whilst hunting for a picture to use for a newsletter, what a happy accident, I have loved reading your inspiring travel tales (my boss is less keen!) and hope to make some trips to far flung places soon. In the meantime would you mind if I used your photo of the Glasgow War Memorial in our next e-newsletter? Many thanks, Claire. Still enjoying reading your Scotland tales! 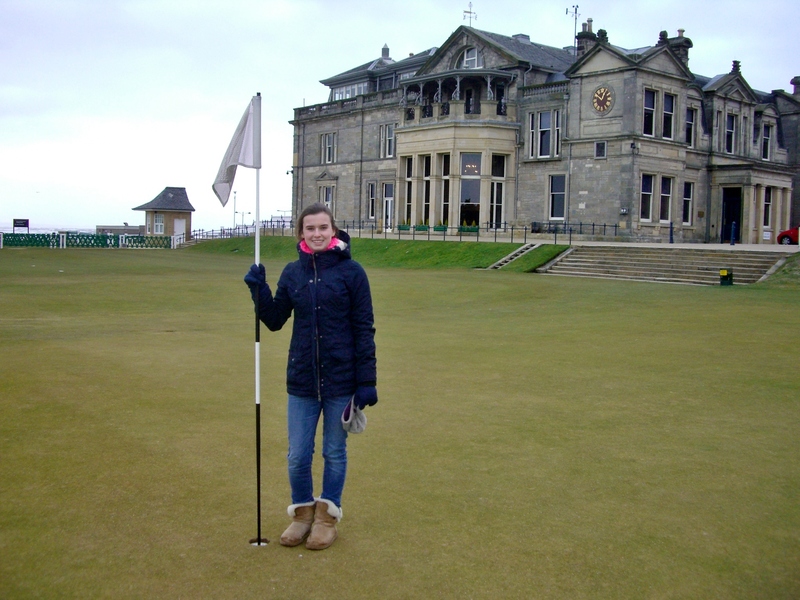 St. Andrews is such a nice place. Thanks, I’m so happy to hear you’re enjoying my Scotland tales. We have a few more days in Scotland and then we’re off to Ireland.